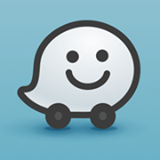 Travel-Tot: Travel Apps We Love: Waze! Ever dreamt of being able to have a sixth sense that could help you steer clear of traffic? Avoid accidents and speed traps? Find the cheapest gas in the immediate area? Well, now you can! Check out Waze, the amazing travel app you won't want to leave home without. In addition to being able to provide you with real-time traffic and road information, Waze offers users the ability to coordinate and track arrival times with friends through Facebook. Available for Android and Apple devices, and absolutely FREE! 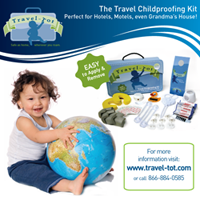 Download your copy today and check out their Facebook and Twitter feeds!